After cast on desired number of stitches, the second step is to connect new loos/stitches to the previous loops/stitches. Basically this is called knitting. If you cast on double needles you need to remove one of the needles to let stitches become a little loos and easy to work. Having needle with stitches in your left hand you will insert the right needle through stitches from right side. The position of the needle during inserting determines the shape of the stitches and it is the reason that we can make different stitches with different shapes. There are two main/basic stitches that almost all other stitches are made by them, these two stitches are called Knit Stitch and Purl Stitch. A stitch which is made by inserting the needle in the right hand into the stitches in the left hand , while the head of the right needle stands behind the needle in the left hand , is knitting. After making enough stitches by casting on , it’s time to learn basic stitches. 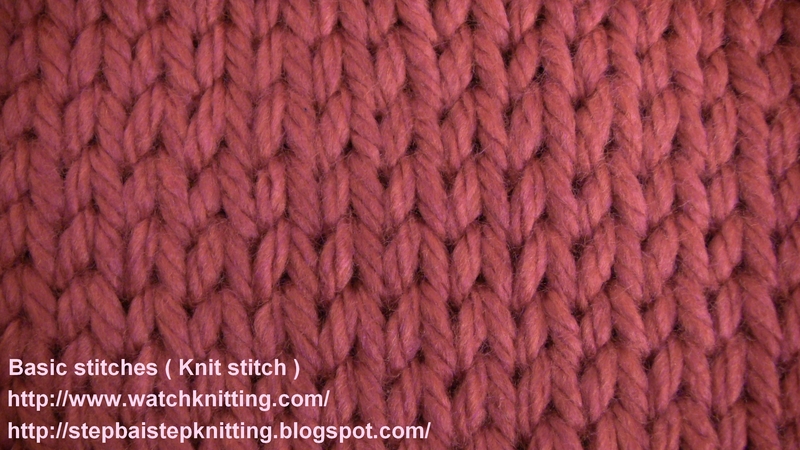 The Basic stitches are the most important ones because other patterns are created by these two stitches.